I picked up a 60's Harmony H39 on Craigslist today. It needs a bit of work. It is missing the cable that runs from the control knob to the jack that plugs into an amp. The neck was starting to separate from the body some. I got it home and took all the hardware off and steamed the neck off. The action was HORRIBLE. 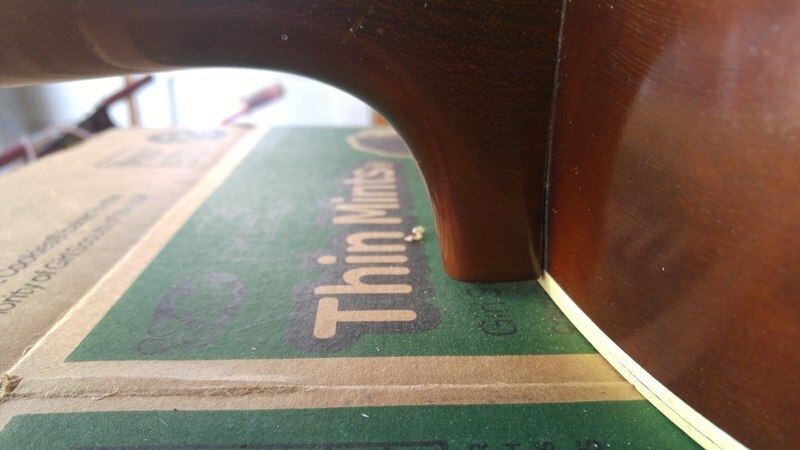 When I put a straightedge on the fretboard to the bridge, the straightedge is about 1/2" below the top edge of the bridge. 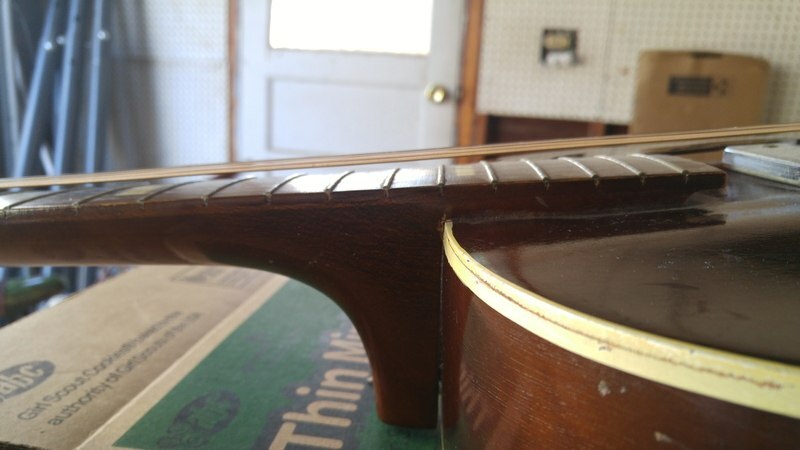 Is it the same with an archtop hollow body as it is with other guitars, where the edge of the straightedge should rest on the top of the bridge? Hopefully I am making sense. 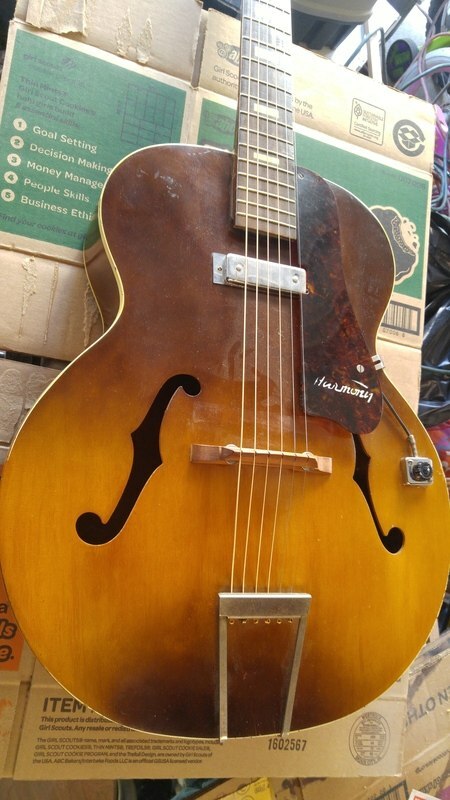 I have no experience with archtop guitars, but I don't see why the straightedge method wouldn't be valid as it is with flat top acoustic guitars.